Darkly dramatic musical Side Show is given an intelligent production featuring a cast of powerful singing actors. 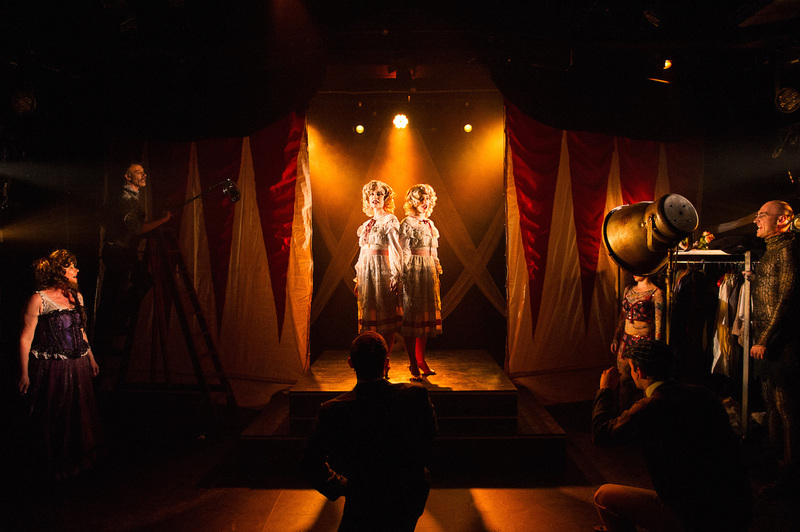 Based on the real lives of conjoined twins Daisy and Violet Hilton, Side Show takes an unflinching look at the oppressive human cruelty of prejudice and fear. The vulnerability and optimism of the girls is completely endearing, making their setbacks and crushed dreams all the more affecting. 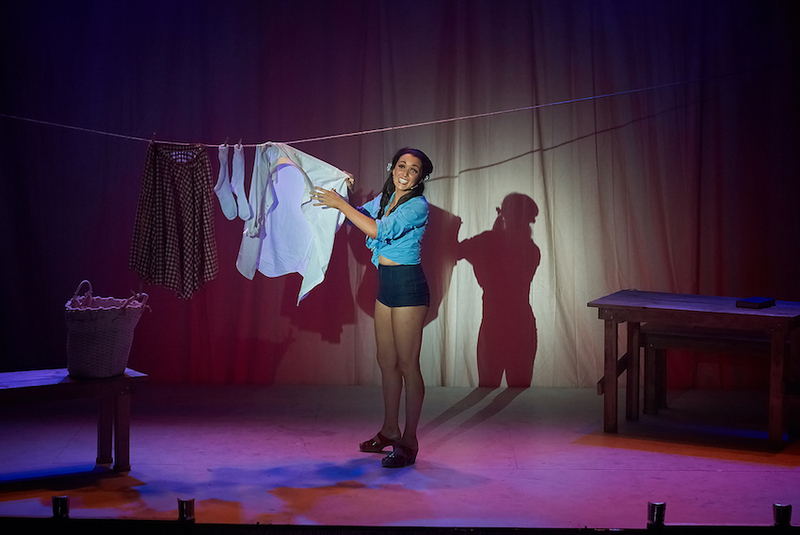 Despite encountering disappointments and ill treatment, the indomitable spirit of Daisy and Violet allows them to end the show on a note of hope. Bill Russell and Henry Krieger’s 1997 musical drew its inspiration from the Vaudeville setting of much of the story. In a similar style to Cabaret, the musical incorporates some performance numbers that provide oblique commentary on the storyline. While some of the expositional numbers are a little heavy handed and unmelodious, the “Vaudeville” songs are wonderful and the power ballads and duets are excellent. For this Australian professional premiere season, One Eyed Man Productions and Hayes Theatre Co are presenting the revised version of Side Show, which played a modest season on Broadway from November 2014. Broadway revival director Bill Condon added to the book, and a significant number of songs were added and deleted. This version expands upon the sisters’ back-story, and rounds out the characters of the major players. 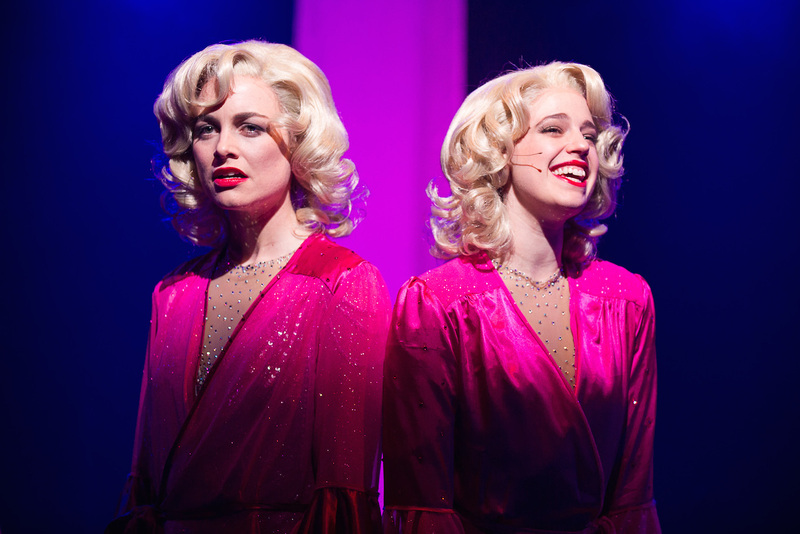 The cast is uniformly strong, but the heart of the show is the work of Laura Bunting as Daisy and Kerrie Anne Greenland as Violet. As well as providing soaring vocals in knockout duets “Who Will Love Me As I Am?” and “I Will Never Leave You,” the pair achieves particular success in crafting two distinct, and highly empathetic, characters. With the broad smile of a 1940s Hollywood beauty, Bunting gives a breakout performance as ambitious, flirtatious Daisy. Subverting her natural beauty from within, Greenland conveys the self-conscious shyness of lovelorn Violet. Director Richard Carroll acknowledges the significance of Daisy and Violet by frequently placing them on a central platform with all other characters orbiting them. 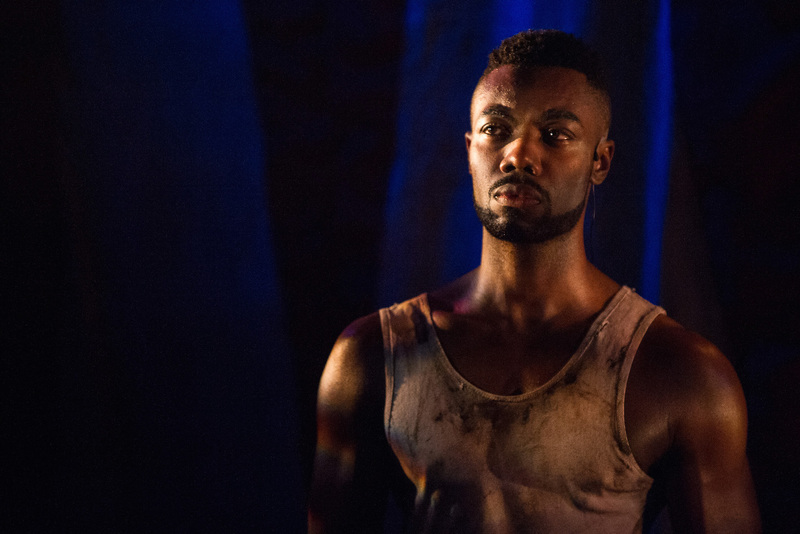 Carroll does not shy from the gritty darkness of the material, guiding the cast to explore the murky shadows of their characters and the painful consequences of their choices. Committed performances from the cast land the story’s twists with great impact. 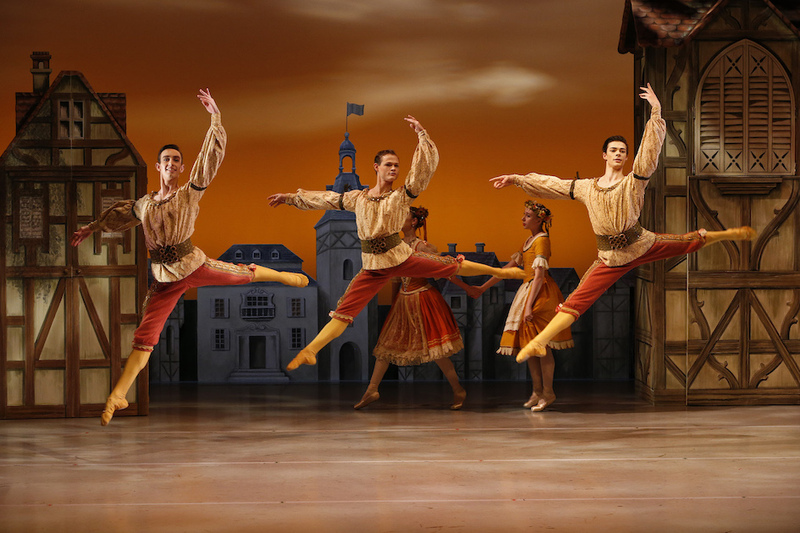 At the end of act one, the romantic arcs are thrown completely off kilter when the sisters simultaneously discover their beaus are both unavailable. Daniel Belle, in tremendous voice, portrays manager Terry’s internal battle between his affection for Daisy and the crippling fear that prevents him coupling with her. Likewise, Gabriel Brown captures the dilemma of light-footed hoofer Buddy’s in deciding between the trappings of fame, his sympathy for Violet and being true to the guarded desires of his homosexuality. A talented triple threat with a likeable stage presence, Brown is a performer to watch in future outings. 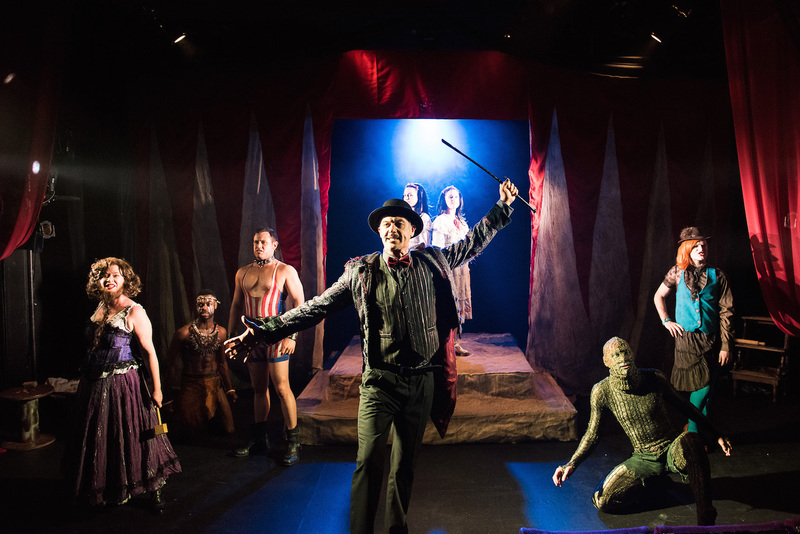 Timothy Springs maintains a searing intensity as Jake, a character who moves from bare chested ignominy as King of the Cannibals to well heeled respectability when travelling with the girls in Vaudeville. Long before Jake confesses his true love for Violet, Springs makes the brooding character’s feelings crystal clear. 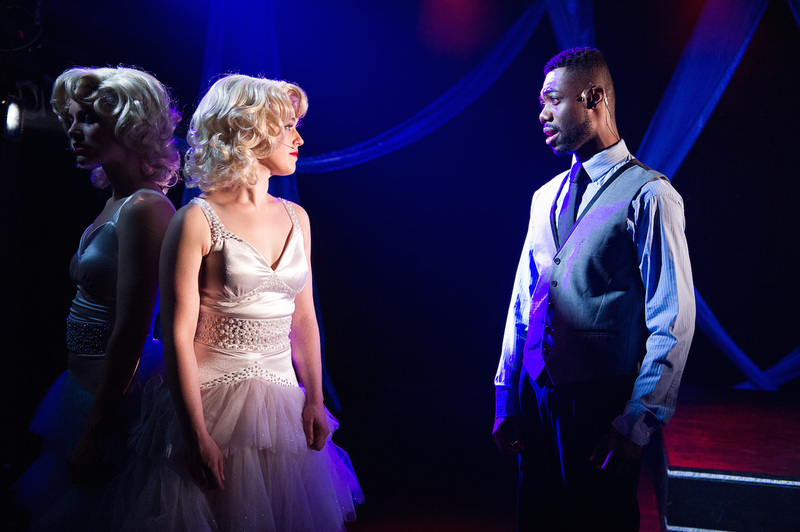 Summoning the strength to confess his love and save Violet from a loveless match, Springs unleashes tremendous vocal power as he sings “You Should Be Loved.” Violet’s subsequent rejection of Jake on racial grounds is absolutely devastating. Set designer Lauren Peters makes excellent use of the tight Hayes space in bringing Carroll’s vision for the production to life. The early side show sequence is signified by a red and white striped circus tent. As the girls move on to Vaudeville, the tent front is removed, creating a grander playing space. 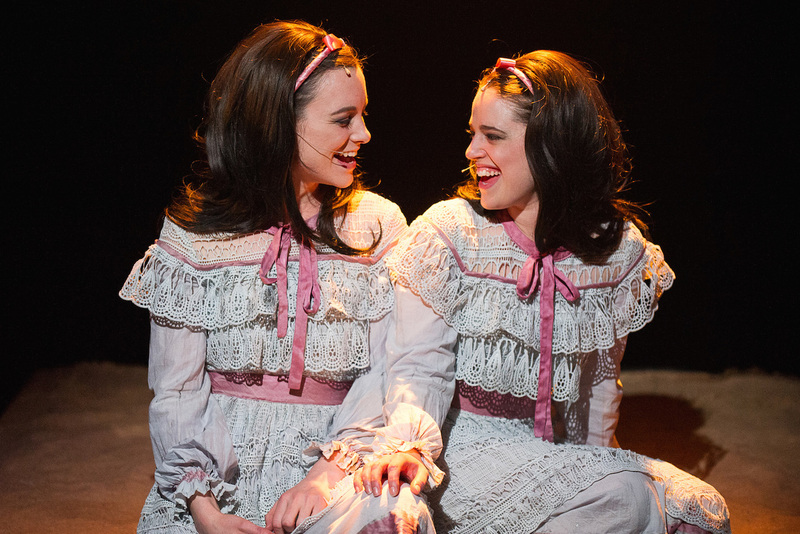 In a clever touch, Peters reflects the show’s focus on the twins by creating a symmetrical stage design. Angela White tells a great deal of the story with her costume design. The twins’ road to success is charted in a series of beautiful custom made gowns that progressively increase in sophistication. The “freaks” of the side show are first seen as tantalising silhouettes, before appearing in all their gruesome glory. As the twins first tell their backstory to Buddy, they envisage the people they are describing as members of their freak show. 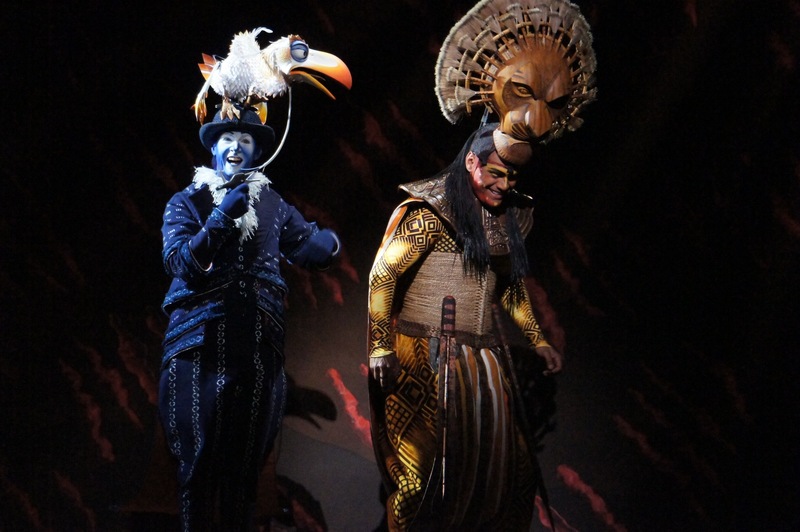 As time melts away, members of the ensemble play multiple characters, aided in their efforts by the extensive wardrobe of costumes and wigs. While sound reproduction at this performance improved in act two from the harsh volume in act one, there were subsequent difficulties with crackling microphones. These issues will surely be remedied promptly. Joshua Mulheran speaks silent volumes as Buddy’s presumed lover Ray. Berynn Schwerdt is brutally insidious as side show master Sir. Michael Hart shows off an impressive physique as Human Pin Cushion, and skillfully blends into several other roles. Lachlan Martin uncovers the tender humanity behind Lizard Man, and changes roles through the show like a chameleon. Bree Langridge performs the show’s only actual circus act, skillfully climbing and spinning on hanging fabric. Elenoa Rokobaro projects an air of exotic mystique as Fortune Teller. Versatile UK actress Hannah Waterman, recently relocated to Sydney, begins as the gruff Bearded Lady before bringing a unique vocalisation and physicality to a range of other characters. Music theatre aficionados will appreciate the chance to see such an accomplished production of this Broadway rarity. I’ve always wanted to see a production of this, Simon.